Girl power is at an all-time high in 2018. With the celebration of International Women's Month this march, females across the world are being honored -- including some of the fiercest women to grace the business world. Since the creation of the holiday in the early 1900s, the annual recognition has served as a reminder of the need for gender parity -- and of how far we've come. She's now a media mogul with an estimated fortune of $2.7 billion, according to Forbes, but Oprah Winfrey is one billionaire who came from humble beginnings. Raised on a farm without indoor plumbing, Winfrey suffered serial abuse as a child. Determined to change her life, she became the youngest person and first African-American woman news anchor at WTVF-TV in Nashville, Tenn., when she was just 19 years old. Eventually, she landed her own talk show, "The Oprah Winfrey Show," which ran for 25 years. In 2011 -- the same year her talk show ended -- she launched the Oprah Winfrey Network. The 64-year-old has also worked on several feature films in recent years, as well as branching into philanthropy and even earning the Presidential Medal of Freedom from President Barack Obama in 2013. 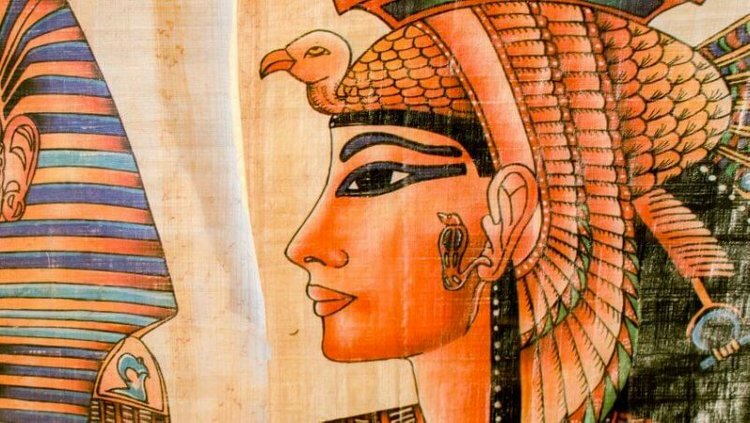 Known as the "Queen of the Nile," Cleopatra died Aug. 12, 30 B.C., but her legend lives on. Despite being the last queen of the Macedonian dynasty that ruled Egypt, she had faint -- if any -- Egyptian roots. Also one of the richest women in history, her net worth was an estimated $95.8 billion, according to the book, Cleopatra: A Life. Largely considered one of the smartest, most fascinating people of all time, Cleopatra spoke as many as a dozen different languages. She considered herself a living goddess and used this to her advantage. Legend has it she once smuggled herself into Julius Caesar's personal quarters in a carpet or linen sack. More than just an heiress, Anne Cox Chambers continues to sit on the board of her family business -- Cox Enterprises -- at the age of 98. Established as a newspaper business by her father, James M. Cox, in 1898, the privately held company has interests in communications, media and other businesses. Once the U.S. ambassador to Belgium, Chambers also holds the French Legion of Honor title. Forbes estimates the media baroness' net worth at $17 billion. Deemed the richest person in Atlanta by Forbes in 2016, Chambers is a billionaire with a charitable heart. She started donating portions of her income from a trust established by her father to charity in the 1980s, and by the time it was dissolved in 2015, all proceeds from the trust were being distributed to 32 groups, The Salt Lake Tribune reported. In 1946, Abigail Johnson's grandfather founded Fidelity Management & Research Company. Today, she's the third-generation family member to head up the firm. As chairman and CEO of the company, Johnson presides over $6.5 trillion in customer assets as of March 1, 2018. Unlike many legacy executives, Johnson has worked her way to the top. In high school and college, she served as a Fidelity customer service representative. She joined the company full-time in 1988, working as mutual fund manager before entering the executive suite. A Harvard grad, Johnson has an estimated net worth of $16.1 billion, according to Forbes. As of 2016, she was the richest person in Massachusetts. Married to Microsoft co-founder Bill Gates since 1994, Melinda Gates is a philanthropist intent on changing the world for the better. Named the fourth-most powerful woman in the world by Forbes in 2016, Gates shares her husband's $90.8 billion net worth, making them some of the richest people in the world. A graduate of Duke University, she co-founded the Bill and Melinda Gates Foundation in 2000 and currently serves as co-chair. Created to help people around the globe enjoy healthy, productive lives, the foundation trust endowment totaled $40.3 billion as of Dec. 31, 2016. Her father, Eugene Schueller, founded L'Oreal in 1909, and the cosmetics company was valued at $107.5 billion as of May 2017, according to Forbes. Bettencourt owned 33 percent of L'Oréal. Sadly, Bettencourt's final years were plagued by her battle with dementia, and in 2012 her grandson took over her seat on the L'Oreal board. In 1998, Sara Blakely didn't have the right undergarments to wear under white pants to a party, so she made her own. This inspired her to found Spanx in 2000 and the rest is history. Named the richest self-made woman in the world in 2017 by Monday Magazine, Zhou Qunfei is a true rags-to-riches story. The founder and CEO of Lens Technology, Qunfei has an estimated net worth of $9.1 billion. Remarkably, Qunfei dropped out of school at age 16 to work in a factory making watch lenses. She went on to found Lens Technology, a company that makes glass screens for mobile phones and tablets for clients including Apple and Samsung. The company reportedly supplied 21 percent of the world's mobile phones as of 2015. As of 2017, the company had at least 32 factories and more than 90,000 employees. Powerful business leader and philanthropist Laurene Powell Jobs spends her time -- and massive fortune -- primarily helping others. Powell Jobs has an estimated net worth of $19.5 billion. After her start as an MBA student at Stanford University, she met and married Steve Jobs in 1989, raising three children with the tech mogul. Besides motherhood, Powell Jobs was busy building an empire all her own -- one with a philanthropic focus. In 1997, she founded College Track, a nonprofit organization aimed to improve high school graduation rates and college enrollment for underrepresented students. She also founded the Emerson Collective, which works closely with entrepreneurs and organizations working in the fields of education, immigration reform and conservation. As of 2017, Powell Jobs' Emerson Collective also acquired a majority stake in the publication The Atlantic, and she herself also purchased a stake in the NBA's Washington Wizards, the NHL's Washington Capitals and the Capital One Arena. The only daughter of Sam Walton -- and the heiress apparent to the Walmart empire -- Alice Walton snagged the top spot as the richest woman in the world after the death of Liliane Bettencourt in September 2017. With a net worth of $41.9 billion, Walton didn't follow in the footsteps of her brothers and decided to focus outside of the family business. In 2011, she founded the Crystal Bridges Museum of American Art in Bentonville, Ark., which strives "to welcome all to celebrate the American spirit in a setting that unites the power of art with the beauty of nature." Are There More Destructive Fires in March, Despite its Designation as Fire-Prevention Month?